Contrary to health executives’ views, treating this epidemic is a medical — not access or ethical — decision, and it is cost-effective. Last week’s commentary “Who gets hepatitis C drugs? Who pays?” (Aug. 10) by North Memorial Health Care CEO Kevin Croston and Medica vice president Robert Longendyke responded to a first-in-the-nation class-action lawsuit seeking the new U.S. Food and Drug Administration (FDA) “breakthrough” cure for life-threatening hepatitis C infections. Brought by 1,500 Minnesota Department of Corrections prisoners, the lawsuit was first reported by Christopher Snowbeck of the Star Tribune. Croston and Longendyke wrote that the prisoners’ suit (filed by the International Humanitarian Law Institute that I founded and direct) started a statewide “conversation” about “ethics, costs and access” because the drugs are a 95 percent effective cure, but cost $90,000 for the 12-week course of daily oral medication. It’s gratifying that respected health care executives acknowledge that this prisoners’ lawsuit has encouraged a statewide health policy “conversation.” But a meaningful “conversation” about either the lawsuit or about treating the hepatitis C epidemic is not possible without providing facts the authors left out. “Who gets treated for hepatitis C?” is a medical decision for infectious-disease specialists, not a question of “ethics, costs or access” for well-meaning executives. “Who pays?” depends on measuring the real social costs of failing to treat a national epidemic. It cannot be measured through the limited considerations of private entities and public agencies in a single state, or even several states. 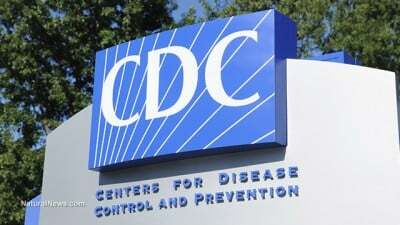 Hepatitis C infects some 4 million Americans, most of whom don’t know they are infected. The Centers for Disease Control and Prevention says that more die from the hepatitis C virus than from HIV/AIDS every year. As with polio, the nation’s bloodstream has to be cleared of the hepatitis C virus for Minnesotans to be clear of the infection. This epidemic does not respect borders. The Minnesota lawsuit was filed after the FDA approved the breakthrough drugs and professional associations issued standard-of-care protocols for all physicians for the hepatitis C virus (HCVguidelines.org). The Minnesota suit has been followed by similar suits in Massachusetts and Pennsylvania; other states will follow. • All patients infected with the hepatitis C virus should be treated immediately with the most recent FDA-approved breakthrough drugs (Harvoni and Viekira-Pak). • All prior treatments (using interferon) are not medically recommended. • Only health care providers lacking financial resources may triage treatment of patients, giving priority to those with more serious symptoms (such as cancer, fibrosis or cirrhosis). Prisons and jails must provide the current medical standard of care for serious illness irrespective of cost, according to the Supreme Court. Some government providers may triage services. But private health care providers must also provide the current standard of care, because their doctors cannot provide less, so the authors’ employers are bound by it, too. The $90,000 figure is the retail price the patient/consumer pays, not health care providers. The authors don’t mention that UnitedHealth Group, private pharmacy wholesalers, the Department of Veterans Affairs (V.A.) and other health care providers already have reduced their wholesale costs nearly 50 percent by negotiating with AbbVie and Gilead Sciences, the two U.S. manufacturers. Forbes reports that generic versions of the same drugs sell for $900 overseas and that the cost of production is about $1 per dose. The cost would be much less than $90,000 if retailers passed wholesale prices along to patient/consumers. The monopoly prices are likely to come down. In addition to the two manufacturers now in the U.S. market and generic suppliers overseas, two additional manufacturers are in FDA trials. Gilead Sciences has been sued for monopoly pricing. Both the California state Senate and the U.S. Senate have held hearings into unreasonable pricing for hepatitis C breakthrough drugs. Presidential candidate Bernie Sanders has called for a repeal of the patent, in part, because the V.A. cannot afford to treat all of the infected veterans, which could prevent 5,000 infections and 500 liver transplants a year. Treating hepatitis C is cost-effective overall, even at retail pricing. As the authors point out, the costs of not treating the national hepatitis C epidemic are staggering, with a liver transplant costing upward of $500,000. “Managing costs” requires re-examining how those costs are allocated in the first instance and whether there are social costs and benefits that don’t appear in a single company’s income statement. Americans have already made the long-term public investment to create the educational/scientific/technological infrastructure that made the breakthrough drugs possible, and they have long been bearing the cost of a “silent” epidemic that could be cured using the model of low-cost mass treatment pioneered by eliminating other formerly fatal infectious diseases, such as polio. This is not the first time science has promised to transform the health of the nation by taming a potentially fatal disease. It did so with the Salk and Sabin polio vaccines; insulin; penicillin, and the flu vaccine. Of course, in those days such pharmacological miracles were considered part of the social wealth of the nation and “consumers” were not forced to pay $1,000 a dose, because back then one or two manufacturers were not permitted to control the market for lifesaving medications needed by the whole population. That was then and this is now, when market-oriented thinking so dominates health care policy “conversations” that the actual medical standard of care required to cure all patients infected with hepatitis C is not even on the agenda. The authors are correct when they write that responses to the hepatitis C epidemic are ideological, and their own op-ed is a good example.